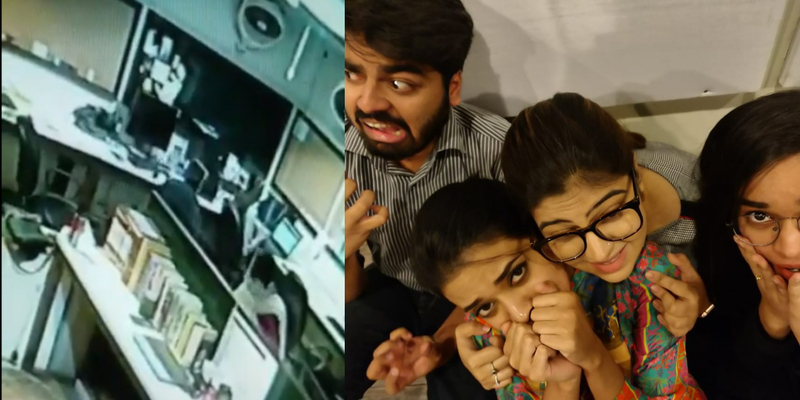 Team Parhlo Witnessed "Paranormal Activity" In Their Office And Everyone Legit Freaked Out! A mystery broke when something very spooky happened in our office during lunch hour, today. There were only a few people in the room when this “paranormal activity” happened. The surprising thing is nothing of this nature has ever occurred before, so no one had any idea that what the hell was actually going on! 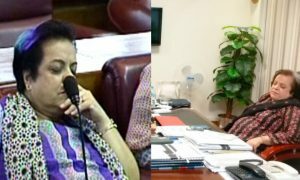 Just when half the people left for lunch and the other half were about to leave, something fell hard on the table and it was loud enough to be heard! Everyone saw it. Did you see that?!!! Nobody believed it to be true when the people who witnessed it told the other team members. So, we went in to dig the CCTV footage; and this is what we found. Scary right?! Everyone in the office was bewildered to see it. Paranormal or not? Many people in the office tried to explain it through some science but it was clearly not the case of science. Now, all the physics lessons failed here. God, that was scary! What do you think it was? Ever witnessed a paranormal activity? Let us know in the comments below! 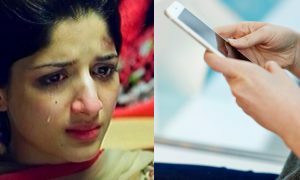 Lahoris Will No Longer Be Able To Use Mobile Phones In The Office And This Is Plain SAD!